Labeling of HDMI cables has become more confusing than it needs to be. The result is some manufacturers are selling overpriced cables to unsuspecting customers. 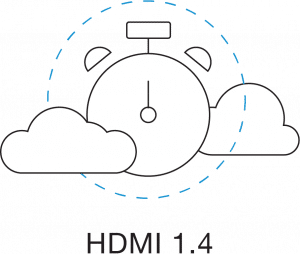 When it comes down to 4K TV, you do not need to pick up special HDMI cables. In other words, don’t immediately toss out your old HDMI cables for the newest HDMI 2.0a or 2.1. The HDMI cable standard can impact color and resolution, but newer versions are not required for 4K TV. So, what you need to do is learn about the different types of HDMI cable, as well as wireless HDMI, and their potential benefits. They all support 4K TV, but they do support it differently. All HDMI cables are basically the same in that no matter what version you have, they connect an audio/video source device (cable box, Blu-ray player, gaming console, or other media player) to your TV. It allows a data signal to be sent from your media player to your TV. There are a few variations of HDMI cables out there. Any HDMI cable that is certified as “standard” is tested to transmit 1080i or 720p video. Here is a breakdown on what the difference is between them and what each one supports. HDMI 1.4: If you want your HDMI cables to support 4K resolution, you need to make sure that they are High-Speed HDMI cables. They are tested to transmit video resolutions from 1080p to 4K with a richer color palette. With or without HDR, you need High-Speed HDMI cables. There is a Premium certification as well, but it is completely optional. 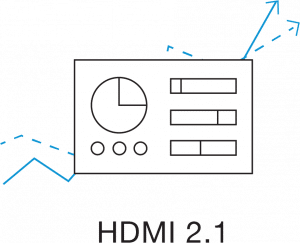 HDMI 2.0: This enhancement allows everything that HDMI 1.4 offers, except it offers an increased bandwidth and the ability to present a wider variety of colors. 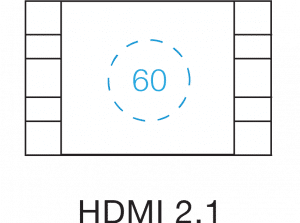 HDMI 2.0 is certified to have a bandwidth of 18 Gigabits per second which supports 4K resolution at 60 FPS (frames per second). HDMI 2.0a: HDMI 2.0a offers all previous enhancements with different types of HDR. This enhanced cable allows for richer and more vibrant color. It is noticeable compared to the HDMI 1.4 and 2.0; however, you do not need this cable in order to support 4K. It all depends on what you want the resolution to be. 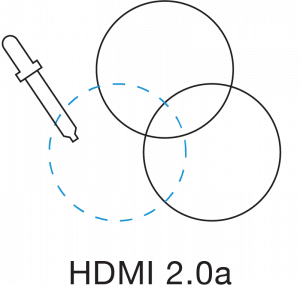 HDMI 2.1: Lastly, HDMI 2.1 cables enable dynamic HDR, faster refresh rates and a much higher bandwidth than any of the previous. The trend with these enhancements changes the resolution, color and bandwidth; however, it does not change whether or not they support 4K. So, when deciding which cables to rely on, it comes down to viewing preference. When it comes down to it, all high-speed cables should perform about the same no matter which version of the certification standards were in place when a cable was certified. Wireless HDMI is a simple, easy, and reliable alternative to regular HDMI cables. Currently wireless HDMI can wirelessly deliver up to 1080p60 HD (not 4k) quality video from your media player to your TV. The beauty is that there is no lag or loss of quality — you simply lose the messy cables and clutter. Here’s how it works. Instead of connecting a hard wire directly from your media player to your TV, you attach a transmitter and receiver at either end that replace those cables. 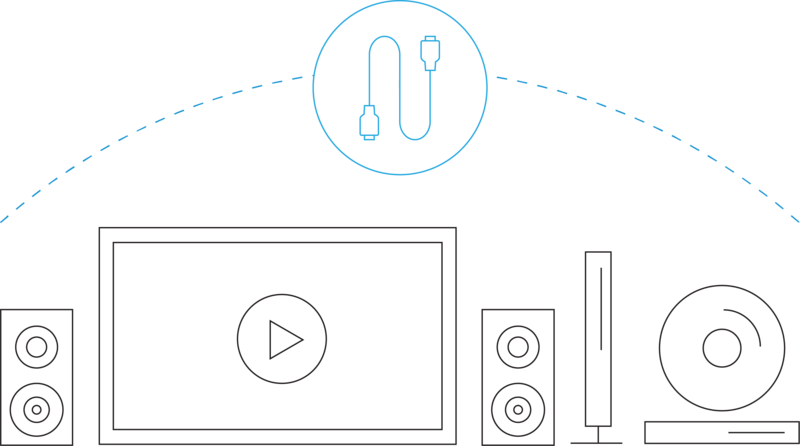 The transmitter attaches to your computer, Blu-ray player or game console and the receiver to your TV. This instantly creates a wireless connection between the two. 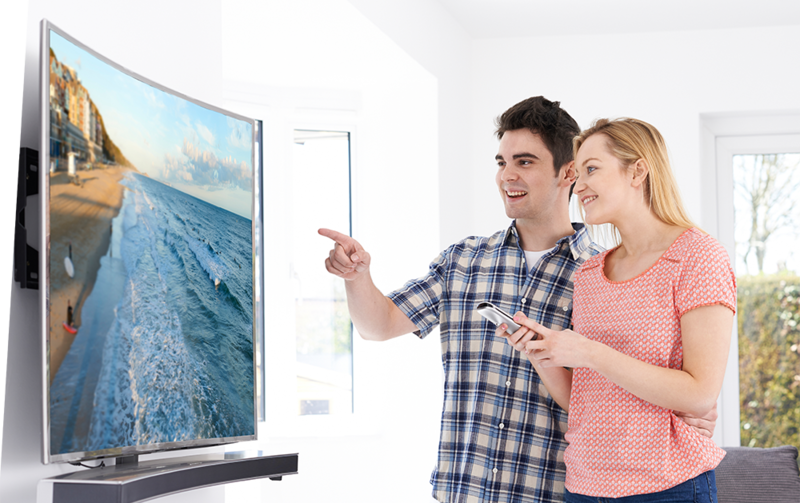 You can even send HD video or audio from your media player in one room up to 150 feet to your TV in another room. Transmitters and receivers typically are available in a kit, like Actiontec’s MyWirelessTV2, so there are no worries of assuring you have all the needed components.